Around 175 people were arrested and 297 cases were registered over more than 90 deaths due to consumption of illicit liquor in several villages of India's Uttar Pradesh and Uttarakhand states. 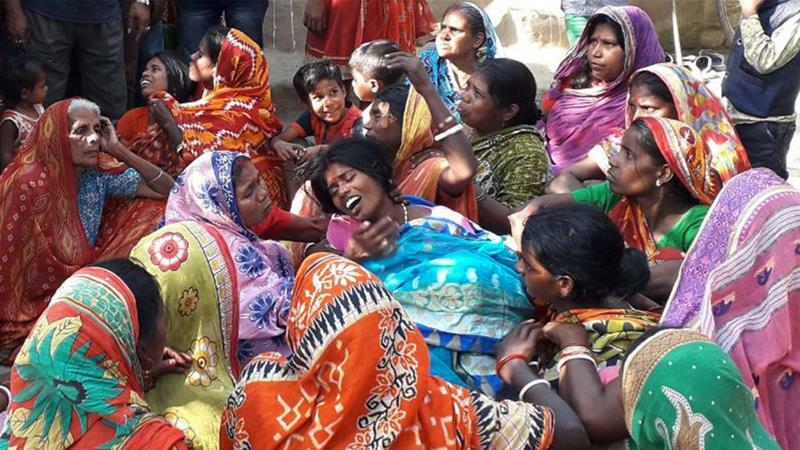 The villagers had consumed the tainted liquor suspected of being laced with methanol on Thursday. The death toll had stood at 28 on Friday. But the current death toll is believed to be the deadliest outbreak since a similar case killed 172 in West Bengal in 2011. About 24 people are admitted to the hospital. Around 1,066 liters of hooch have been seized during the raid and over 50 people detained in state, reports said. Uttar Pradesh government spokesman Awanish Awasthi said more than 3,000 people have been arrested in a drive against tainted liquor since February 9. Authorities in the region also suspended over 30 officials, including 10 policemen, on charges of negligence or collusion in the illicit trade. Illicit liquor is cheap and often spiked with chemicals such as pesticides to increase potency.